Today, on Lineman Appreciation Day, we thank our linemen, and substation and telecommunications technicians for their service in keeping the power flowing to our 43 members and their 1.3 million consumers! Linemen - install and maintain high-voltage power lines. Telecommunications technicians - provide a vital network of microwave/satellite/mobile radio systems and fiber optic cable for the transport of data, protective relaying and metering and information technology traffic. Substation technicians - maintain and provide emergency repair to circuit breakers, switches, transformers, and other elements found at our high-energy substations. 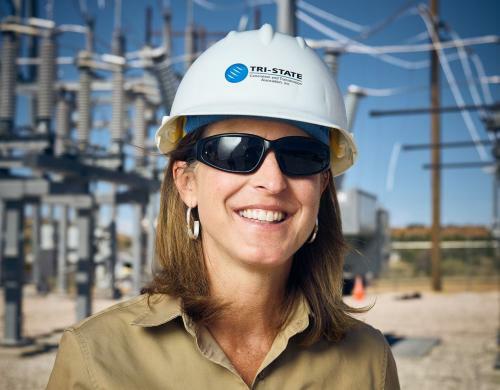 Together, our dedicated employees help us maintain more than 5,600 miles of transmission line, 450 substations and 175 telecommunication sites for co-op and public power district consumers living and working in rural Colorado, Nebraska, New Mexico and Wyoming. Thank you to all of our valued technicians for their continued service in keeping your lights on!